We dropped by the Stiller Precision Firearms SHOT Show booth to see the latest product roll-out from Jerry Stiller and his crew. Jerry showed off some of his hot new action designs, including the long-awaited Copperhead rimfire benchrest action. Along with two rimfire actions, Jerry unveiled his hot-selling P1000 Benchrest Action, and his new TAC30 AW bottom metal system for Rem-clone actions. The advanced Copperhead rimfire BR action, “in development” for years, is finally a reality. This is a pure benchrest-quality action, built from the ground up to deliver the smallest groups with today’s rimfire ammo. The Copperhead’s innovative design features DUAL firing pins at 6 and 12 o-clock. This serves to make rimfire ignition as consistent as possible. This action also has an Anschutz-style feed ramp to aid feeding of single-shot rounds. Being very complex to manufacture, the Copperhead commands a fairly high pricetag — roughly $1300.00. For those in the highly competitive rimfire benchrest game, who demand the very best rimfire receiver available, the high price is can be justified by the action’s superior performance. Prototypes have already earned top places ijn many notable rimfire BR matches. Along with the Copperhead, Stiller Precision offers a nicely-detailed, smooth-running 40x clone rimfire action that will fit any stocks inletted for the Remington 40 Rimfire rifles. This 40X Rem clone action is in stock and available know for about $950.00. Yet another unique action from Stiller Precision is the Tac-30 AW. This is a Rem-footprint action made as a purpose-built tactical rifle foundation. It has beefy #8 screws for scope base attachment along with the ability to add rail pins to a picatinny rail to reduce the possibly of any screw failures. Along with that, it is specifically made to work in concert with Stiller’s detachable magazine bottom metal and Accuracy International AW magazines. The entire action, bottom metal and magazine combination is available for about $1,100.00. The AW magazine is superior to the standard AICS mag; the AW design is easier to load, and it holds ten rounds in a more compact (shorter) box. Last but not least, Stiller showed us a P1000 action which is becoming more popular in the long range benchrest realm and is available in standard and magnum bolt faces for short and long action calibers. This dual-port action is only available in a right-bolt, left-port, right eject configuration. It is also available in 2 diameters – 1.350” and 1.550” in case weight is an issue. Interestingly, the P1000 is made to work without the standard recoil lug as you can see it has recesses cut in the bottom that will act as a recoil lug surface. Similar to other Stiller’s actions, the P1000 has a small size (0.068″ diameter) firing pin for enchanced accuracy. Stiller Precision is working hard to catch up on existing orders as well as continuing to develop innovative, state-of-the-art actions for discerning customers. 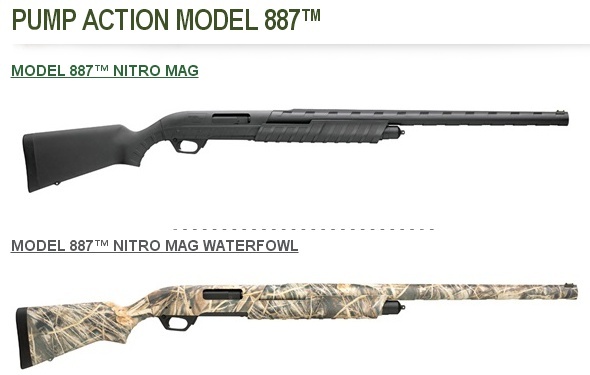 Most of the actions on display at SHOT show are in stock and ready to ship. In addition, Stiller hopes to resume production of his popular Viper and Diamondback actions in just a few months. Jerry cautions “be patient” if you are looking for a drop-port or other classic benchrest not currently in inventory. Share the post "SHOT Show Report: New Actions from Stiller Precision"